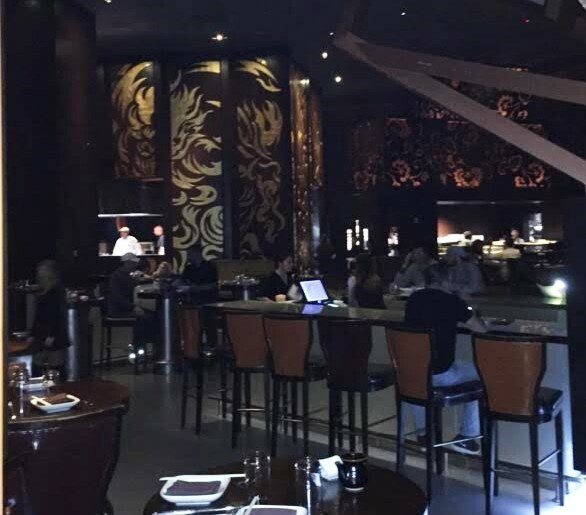 The Philadelphia-area based National Foundation for Celiac Awareness this week announced that the foundation has changed its name to Beyond Celiac. The new name and brand reflect the evolution of the organization from its early focus on awareness to its expanded role today in increasing the rate of diagnosis, improving care for the community and expanding research of new treatments, ultimately to find a cure for celiac disease by 2025. The name Beyond Celiac was chosen to embody the spirit of the community and inspire hope and passion for living well despite having a serious genetic autoimmune disease. Beyond Celiac intends to move beyond the acceptance of lifestyle and diet as treatment and move forward toward advancing research for innovative, groundbreaking medicines. The California-based, classic-rock themed Yard House chain opens its first area location tomorrow at the Moorestown Mall (400 Rt. 38, 856-722-5620). 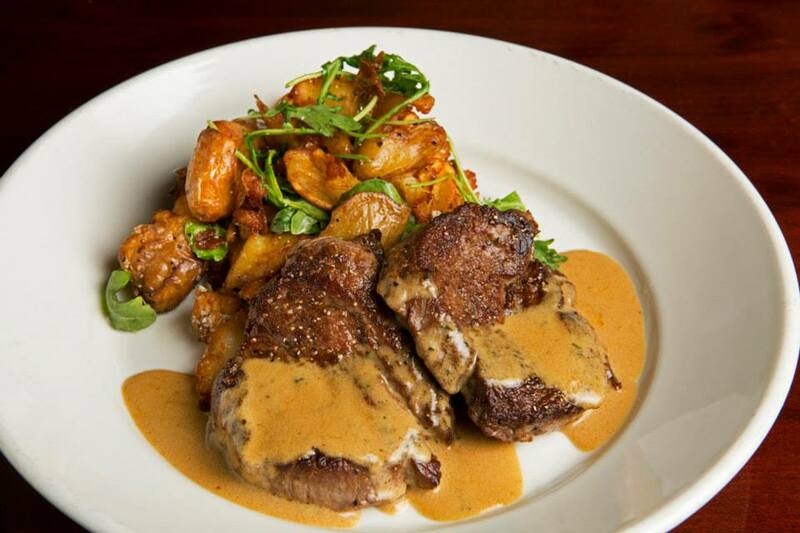 The from-scratch (CYA) "gluten sensitive" menu includes appetizers, salads, steaks and seafood. Drinks include four different hard ciders. South Philly BYOB L'Angolo Ristorante (1415 W. Porter St., 215-389-4252) offers gluten-free fusilli (prepared in separate water) and can make several entrees gluten free. 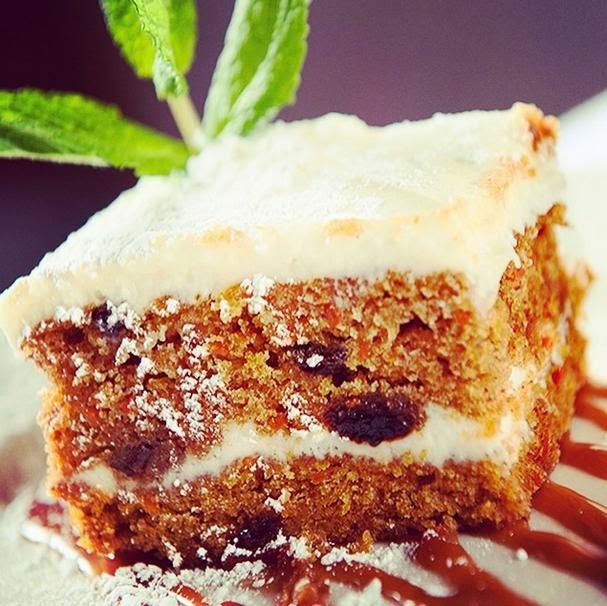 Touch of Italy, with two locations in Southern Delaware - Rehoboth Beach (19724 Coastal Hwy., 302-227-3900) and Lewes (101 Second St., 302-827-2730) offers a gluten-free menu that includes gluten-free pasta dishes. Don't let the small, whimsically decorated dining room - as in two tables small - at Waffles & Wedges deter you from savoring two of America's favorite comfort foods. 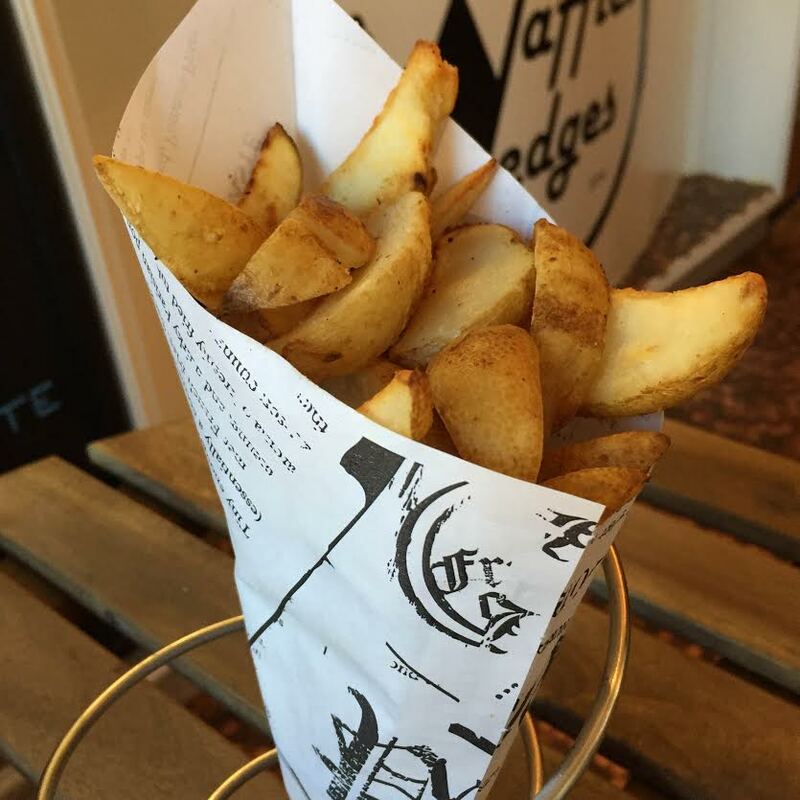 This corner spot in Philadelphia's Rittenhouse Square neighborhood (1511 Pine St., 215-309-3222), which opened in April, specializes in baked potato wedges and homemade waffles that can be topped with dozens of options. For gluten eaters, the shop offers traditional buttermilk and Belgian-style Liege waffles, but the kitchen maintains an entirely separate waffle iron for gluten-free versions made with rice flour. Toppings run the gamut, both sweet and savory. 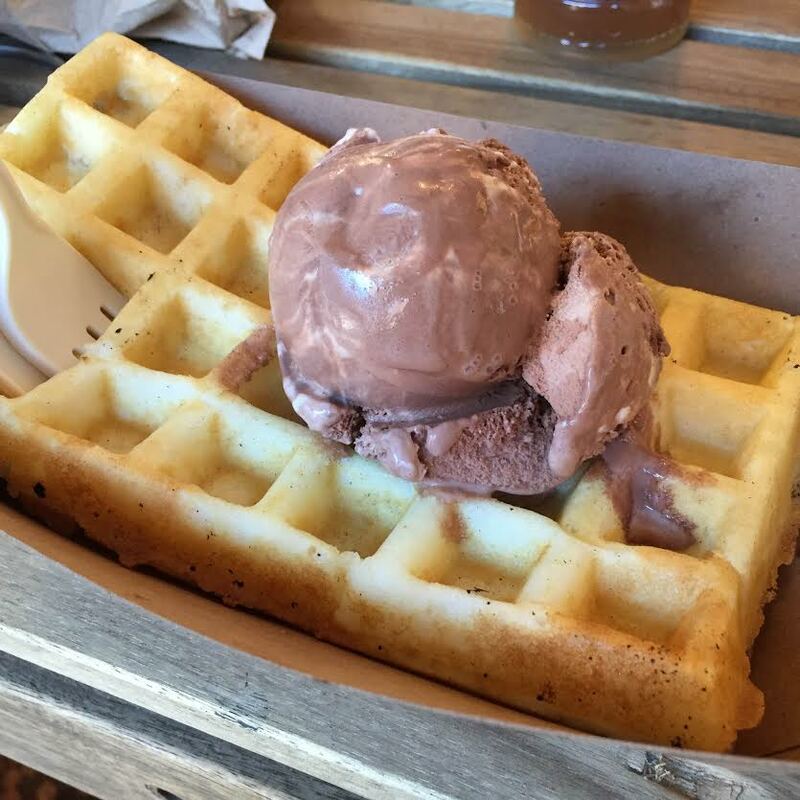 During a recent visit, my son and I indulged in one of my childhood favorites: waffles à la mode with local favorite Bassetts ice cream. He ordered his with a scoop of vanilla and a dollop of Nutella, while mine was crowned with chocolate marshmallow ice cream. I took great pleasure in listening to him rave over his waffles and ice cream, which he had never eaten before our visit there. 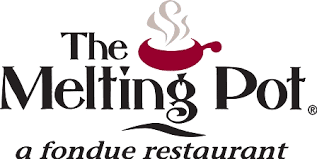 All of the starches - plain potato wedges, sweet potato wedges and waffle cut fries - are gluten free and can be ordered with a variety of dipping sauces for a nominal charge. The creamy horseradish sauce were a fine complement to our order of plain potato wedges. With his roles in shot-in-Philly Invincible and Shooter, actor Mark Wahlberg has made this area a second home of sorts. Now, his family burger business, Wahlburgers, will be setting up shop at The Piazza in Northern Liberties this winter. For now, a Wahlburgers food truck will serve that same area on weekends, The menu includes gluten-free burger buns and croutons for salads. Giorgio Pizza on Pine (1334 Pine St., 215-545-2482), the new casual offshoot of Center City fave Giorgio on Pine, is now offering gluten-free pizza and sandwiches - that includes cheesesteaks. The breads and pizza shells are sourced from Taffets in the Italian Market. Canyon Bakehouse's newest products are brownie bites and bagels, in plain and everything varieties. 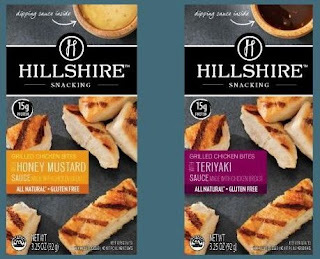 The company is offering three lucky Gluten Free Philly readers a sampling of its entire product line - full-size versions of each of its 10 products, from rosemary & thyme focaccia to deli-style rye to burger and hot dog buns. To enter, follow the instructions below. Entries are being accepted through midnight Eastern on Monday, November 8. The winner will need to respond to a notification email and provide a U.S. mailing address. Good luck! 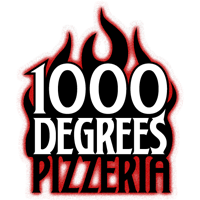 I can't vouch for all of the chain's locations, but the 1000 Degrees Neapolitan Pizza in Marlton (752 W. Rt. 70, 856-334-5533) prepares quick-fired gluten-free pizzas on their own foil tins with separate ingredients from the walk-in refrigerator. The staff also uses a dedicated cutter. The new Cibo by Illiano in Cherry Hill's Short Hills Shopping Center (484 E. Evesham Rd., 856-433-8837) can prepare gluten-free pizza and pasta. Request that separate sauce, cheese and toppings be used. In Holland (Pennsylvania, that is), Jersey's Tomato Pies and Bistro (295 Buck Rd., 215-396-1000) also offers gluten-free pizza (tomato pies, too) and pasta. As with Cibo, request that separate sauce, cheese and toppings be used. Most entrees can be made gluten free as well. The Brothers Moon, a New American restaurant in Hopewell, New Jersey (7 W. Broad St., 609-333-1330), can accommodate many gluten-free requests and has gluten-free bread on hand. Call it clear beer, Call it hard water, Whatever you call it, Spiked Seltzer is a welcome new gluten-free alcoholic beverage option. The fizzy, low-carb Spiked Seltzer is not gluten reduced or a beer made with ancient grains. 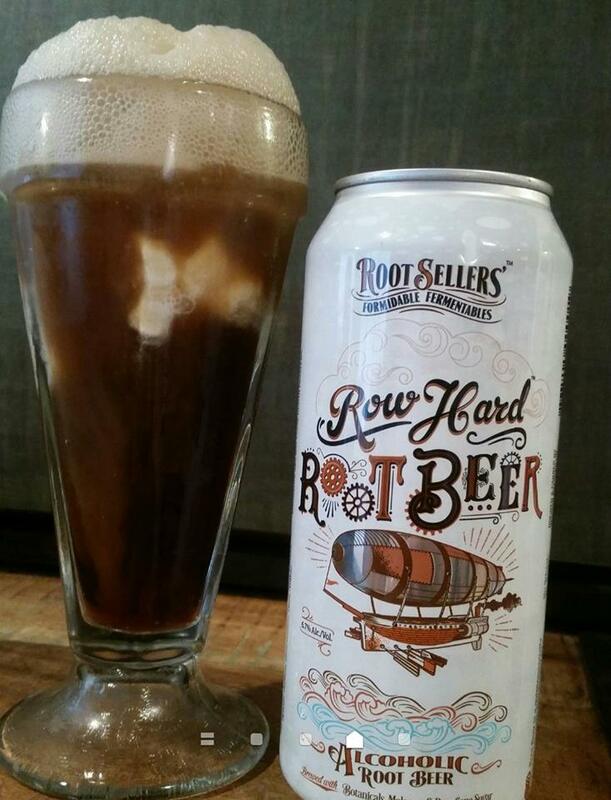 It's brewed with purified water, and the alcohol is derived from citrus essence and sugar. Yet it's not cloyingly sweet. I preferred the West Indies Lime and Valencia Orange flavors (Indian River Grapefruit and Cape Cod Cranberry are the other seltzer-style flavors) and enjoyed them straight from the can, but they can also be mixed with juices and spirits to create a variety of cocktails. All of them have a kick (6% ABV, comparable to a strong cider). 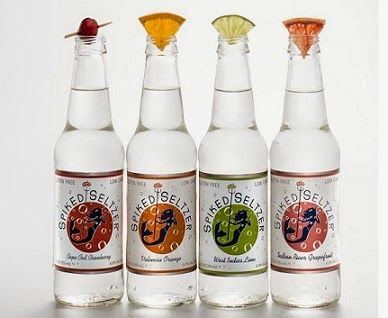 Spiked Seltzer has a heavy presence in New England, but is rapidly becoming available elsewhere along the East Coast. In New Jersey, the beverages are sold at wine-and-spirits stores throughout the state. 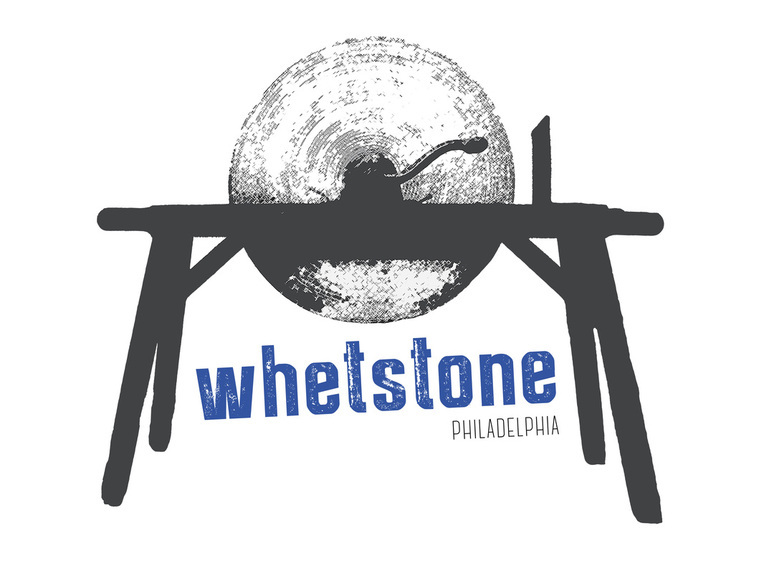 A Facebook reader mentioned that The Bottle Shop in South Philadelphia stocks them as well, though there are no Pennsylvania locations currently listed on the company's product finder page. DISCLOSURE: While Boathouse Beverage provided product samples for me to review at no cost, such compensation did not influence my review. 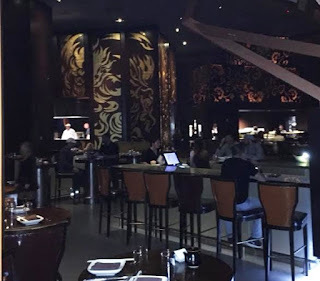 Neither I am nor any immediate family member is an employee, officer, director or agent of Boathouse Beverage or its respective parent, subsidiary and affiliated entities, advertising and promotional agencies. Click here for my complete Disclosure. 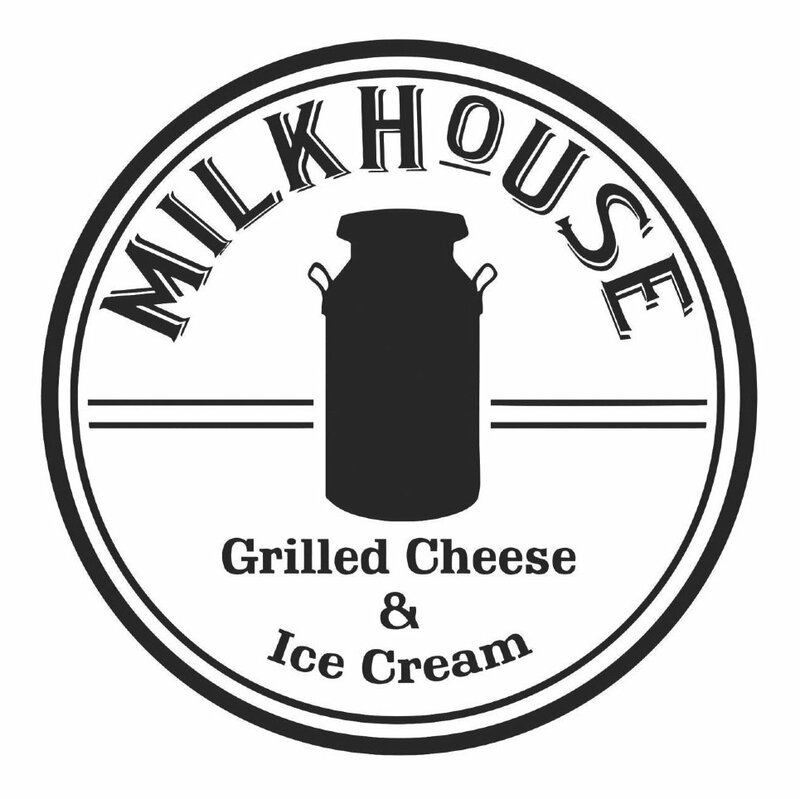 The newest all-gluten-free restaurant in the Delaware Valley is hoping to debut later this fall. 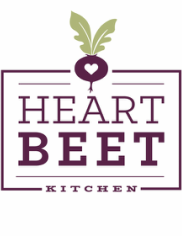 Heart Beet Kitchen in Westmont (29 Haddon Ave., 856-240-1106) will offer a plant-based, organic menu full of healthy fare, smoothies, soups and desserts. For now, Heart Beet brings some of its wares to the Westmont Farmers' Market every Wednesday from 4 p.m. to 7:30 p.m.
Stir-fry and salad purveyor Honeygrow has opened its first Delaware location in Wilmington (5609A Concord Pike, 302-407-3331). 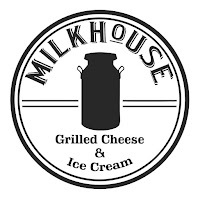 Another, on Main Street in Newark, is planned for later this fall. 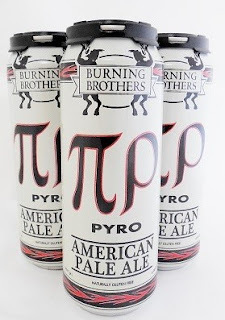 Burning Brothers Brewing, an all-gluten-free brewery out of Minnesota, has plans to bring its Pyro American Pale Ale to Philadelphia, though given Pennsylvania's Byzantine liquor laws there's no ETA just yet. Still on the subject of beers, Tuesday's post featured a review of the award-winning beers from Seattle's Ghostfish Brewing. General Mills issued a product recall of certain Cheerios and Honey Nut Cheerios boxes due to the presence of undisclosed gluten. Affected boxes were produced at the company's Lodi, California facility in July. If you have these cereals, compare the "Better If Used By" code on the packaging to those identified by General Mills. Kettle Kups K-Cup Soups are new, all-natural, Keurig brewer compatible soups. 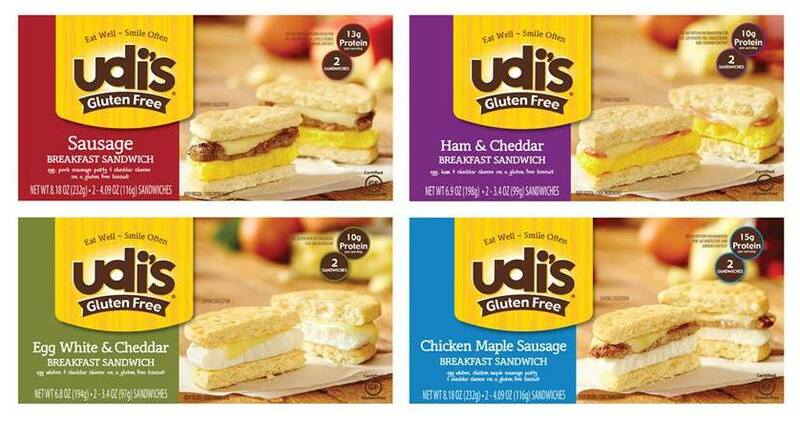 All varieties - Homestyle Chicken, Homestyle Beef and Garden Vegetable - are gluten free. ShopRite in Marlton (307 Rt. 70 W., 856-983-7370) is hosting a Gluten-Free Food Festival next Saturday, October 17, from 10 a.m. to 2 p.m. There will be lots of samples being offered, and I'll be hanging out there from 11 a.m. to noon. Some of the more than three dozen vendors participating include Boar's Head, Crunch Master, Sweet Megan's Bakery, Sweet Note Bakery, Evol, Udi's, Glutino, Lance, Late July, Perdue and Pretzel Crisps. Ghostfish Brewing Company is giving Usain Bolt a run for his money. The all-gluten-free brewery from Seattle took home gold and bronze medals at the 2015 Great American Beer Festival held last month and a gold medal at this year's U.S. Open Beer Championship. Brewing primarily with artisan millet and buckwheat malts, the company is making waves in the gluten-free brewing world. The first of the flagship beers I tried was the Shrouded Summit Witbier. When brewed traditionally, this style gets its cloudy white appearance from the large amount of wheat used in the brewing process. Though there is no wheat in Shrouded Summit, its hazy yellow color and white head made it look authentic - a "witbier without," if you will. It smelled and tasted like a clone of its wheat counterpart. Last's year's hot food, kale, is this year's jackfruit, At least that's what I gathered from canvassing the products at the annual Expo East natural-foods show in Baltimore earlier this month. The show features new and trendy gourmet, natural and gluten-free products from across North America whose manufacturers are seeking wider distribution in supermarkets and grocery stores. 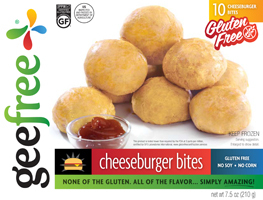 Cheeseburger bites from GeeFree Foods: These hors d'oeuvres join the company's pastry dough and other bite-size snacks like pigs in blankets. The cheeseburger bites will reach stores this fall. Cannoli shells from Russo's Gluten Free Gourmet: The shells are made with rice flour and corn starch and have a flaky, crunchy texture. This item is currently available for online ordering through the company's website but will be reaching wider distribution. La Brea Bakery recently added two gluten-free sandwich breads - fresh, not frozen - to its product line. Its Gluten Free Sliced Multigrain Sandwich Bread has a nutty-tasting crust and a soft interior with notes of texture and flavor from flax seeds, sunflower seeds, pumpkin seeds and millet. The Gluten Free Sliced White Sandwich Bread has a thin crust and classic white bread flavor. The bread has 130 calories and 3 grams of fat per two slices. 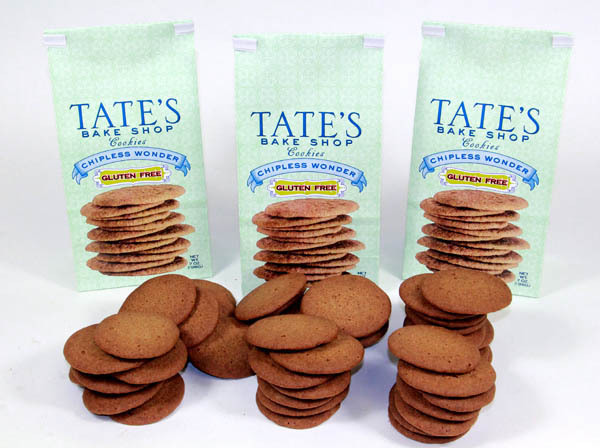 Both varieties are certified gluten-free by NSF International and are baked in a dedicated facility. The breads, which have a suggested retail price of $6.99 per loaf, will be available in the Philadelphia region at Acme Markets. Angry Orchard this week announced the national release of its newest hard cider, Angry Orchard Stone Dry (5.5% ABV), the driest style in its core collection. According to the tasting notes, this new cider has a bright apple aroma, juicy flavor, and a clean, slightly puckering, dry finish. Stone Dry showcases an intricate balance between the sweetness and acidity of culinary apples and the tannins of traditional cider making apples. The cider makers chose specific apples to achieve this flavor profile, including French bittersweet apple varieties from Normandy, like Dabinett, Binet Rouge and Harry Masters Jersey. 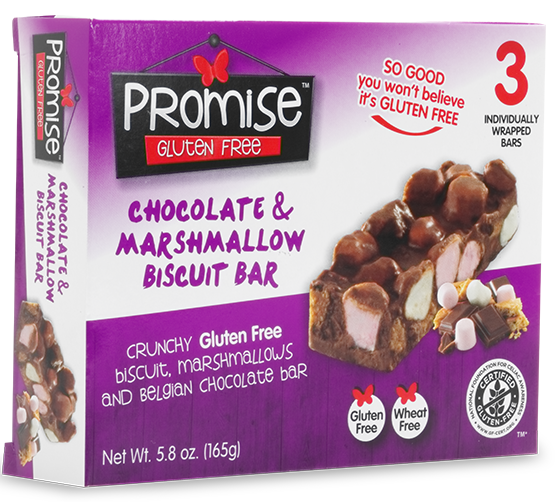 CVS stores in the Philadelphia area have begun carrying Promise Gluten Free snack bars. The Chocolate & Marshmallow Biscuit Bar and the Yogurt, Fruit & Nut Bar come three to a package and are certified gluten free. 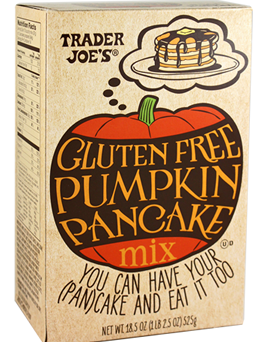 Trader Joe's is now stocking its seasonal Gluten-Free Pumpkin Pancake Mix and has added a new Gluten-Free Pumpkin Bread & Muffin Baking Mix. 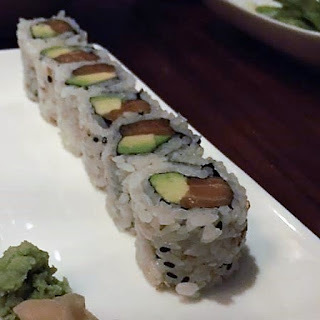 In 2013, my daughter Rachel became ill. After many doctors and tests with no answers, she was healed after eliminating gluten and dairy from her diet and continues to eat that way today. After an unsuccessful and overwhelming trip to the grocery store, I enrolled in an integrative nutrition school and became a certified health coach to help other families deal with food sensitivities. Starting this non-profit food pantry is our way of giving back to our community. The gluten-free and diary-free food pantry opens this Saturday, Sept. 12, at the Church on the Mall (Room 8) at the Plymouth Meeting Mall (500 W. Germantown Pike). Hours that day are from 1 p.m. to 3 p.m., after the Strides for Safe Kids Food Allergy Walk & Expo. The pantry will also be open on Sept. 17 and 22 from 11 a.m. to 1 p.m. In October, the pantry will be open on Oct. 3, 6, 17 and 20 from 11 a.m. to 1 p.m. Additional opening hours will be posted at the website and on the pantry's Facebook page. Donations can be made Mondays through Thursday from 10 a.m. to 2 p.m. at the church office and during pantry hours. 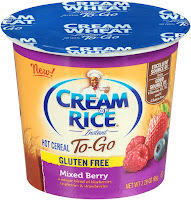 Accepted gluten-free food brands include Glutino, Udi's, Enjoy Life, Schar, Bob's Red Mill, Larabar and Chex cereals. 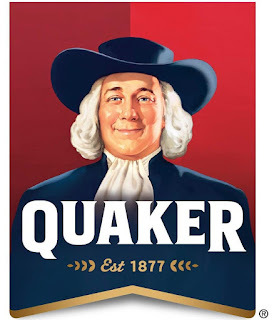 There's a mass-market replacement for the discontinued gluten-free Kellogg's Rice Krispies. Malt-O-Meal has reformulated its Crispy Rice cereal by removing barley malt from the ingredients so that it's now gluten free. Look for new packaging noting the gluten-free status, since there are still older versions still in markets. Other gluten-free Malt-O-Meal cereals include Fruity Dino-Bites and Cocoa Dino-Bites. 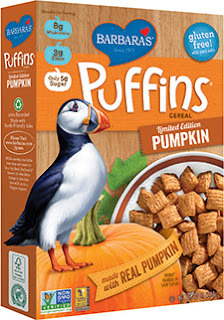 In other cereal news, Barbara's Bakery has produced a limited-edition, gluten-free Pumpkin Puffins cereal made with gluten-free oats. Gluten-Free Living magazine reports that General Mills has discontinued gluten-free Chex instant oatmeal after launching the line a year ago. Disappointing sales are the reason behind the move. The decision does not affect gluten-free Chex Granola Mix. 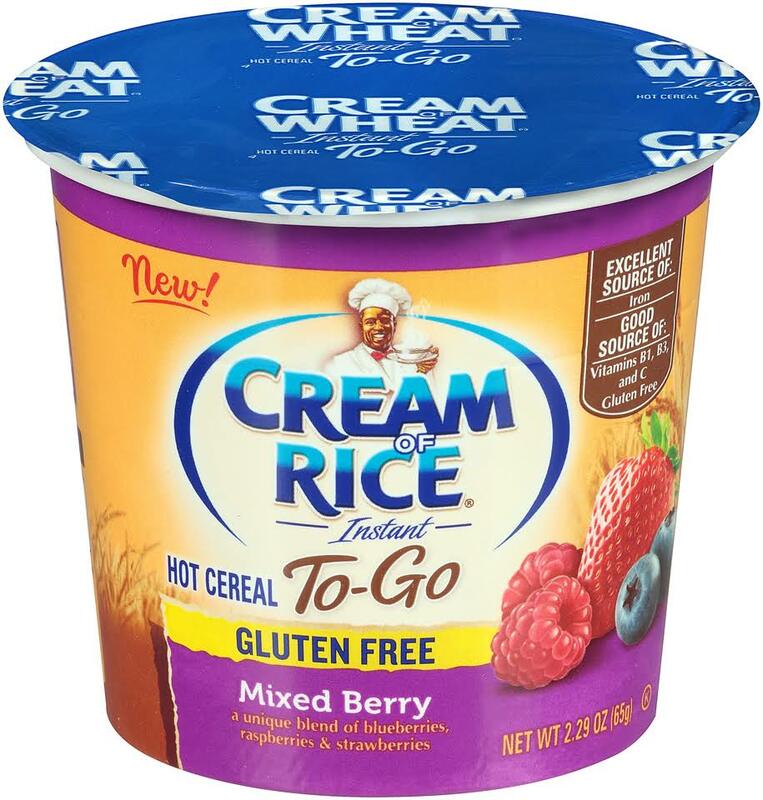 Look for gluten-free Cream of Rice Instant To-Go Mixed Berry Hot Cereal making its way to markets. 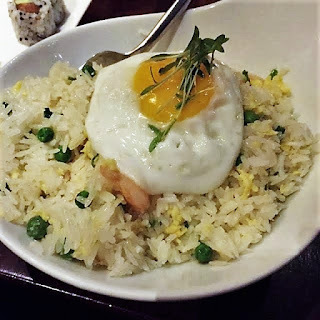 Kriti Sehgal, the owner of Pure Fare and Agno Grill in Philadelphia, is aiming to launch her as-yet-unnamed Asian concept the week of Sept. 15 next to Pure Fare in Rittenhouse Square (119 S. 21st St.) the week of September 15. 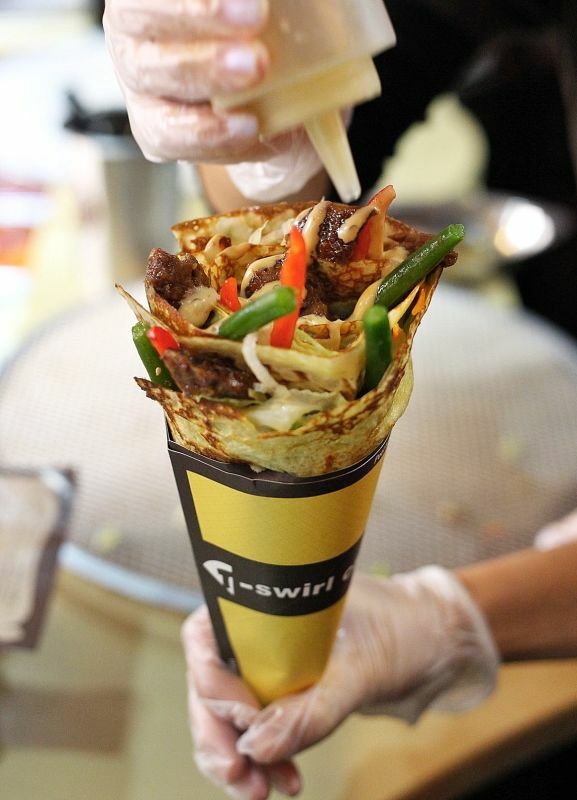 Like its siblings, the menu at this takeout-only shop will be entirely gluten free and will feature street-food fare. 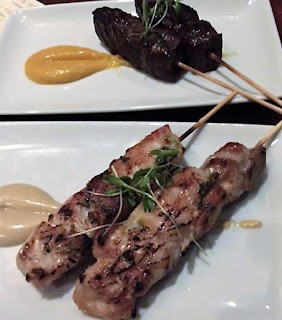 A Latin-influenced vegan restaurant, Bar Bombón (133 S. 18th St., 267-606-6612) debuted last week in Rittenhouse Square. The arepas, all of the tacos, and most of the sides are gluten free. Note that the kitchen's fryer is used to prepare non-gluten-free items. The grand opening for the newest Seasons Pizza location in Wayne, Pennsylvania (369 W. Lancaster Ave., 610-687-3100) is slated for Sept. 8. Gluten-free pizza is available at all outlets. With the Flyers, Sixers and Phillies once again failing to making the playoffs this year, Philly sports fans are hanging their hopes on the Eagles to end the drought. For the Birds, the 2015 NFL season kicks off on Sept. 14 with a Monday Night Football clash in Atlanta. The season's first regular-season home game is the following Sunday, Sept. 20, against the division rival Dallas Cowboys. Gluten-free options will once again be available at the home of the Eagles, Lincoln Financial Field. Stand-alone carts offering exclusively gluten-free concessions, located at Sections 120 and 216, will have hot dogs, sausages, buffalo falafel (which is vegan), beer, cookies and brownies. Marking an occasion over a long distance isn't difficult, even when your gift recipient eats gluten free. Many gourmet bakeries now offer gluten-free sweets for home and office delivery. 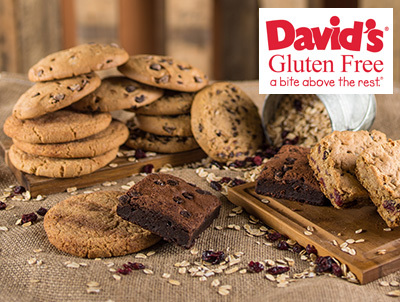 New Jersey-based David's Cookies is the newest to produce gluten-free baked goods. The company's gluten-free cookie and brownie sample box is also nut free and dairy free. Made in a dedicated GFCO-certified facility, the box ($49.95 with free two-day shipping) contains six cookies (two each of oatmeal raisin, chocolate chip and snickerdoodle) and two brownies (one chocolate chip brownie and one cranberry-orange oatmeal bar). Save 15% at checkout with promo code GOOG15. Shopping-mall staple Mrs. Fields now has a line of soft-baked gluten-free chocolate chip cookies, made separately on different equipment. The company currently offers six different options, ranging from a four-cookie box ($19.99) to a 24-cookie basket ($74.99). Save 15% at checkout with promo code DDLS. Tate's Bake Shop's gluten-free desserts, made in a dedicated kitchen, have expanded over the years. 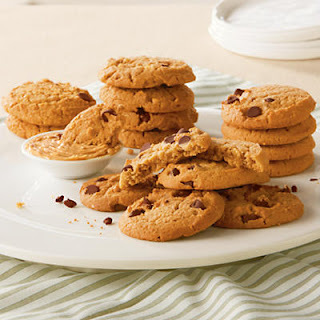 The original, crispy chocolate chip cookie has a double-chocolate sibling and even a new chipless version, which I tried last week and are excellent. There are brownies and blondies too. Prices start at $19.99 for a cookie three-pack. Save 10% at checkout with promo code SAVE10. Also produced in a dedicated facility, Harry & David's gluten-free range not only includes cookies, but also two muffin duos: Lemon Poppyseed & Cinnamon Streusel and Maple & Almond. The 12-cookie selection ($29.95) includes six chocolate chip and six peanut butter chocolate chip. Each 12-muffin order ($19.95) contains a half-dozen of each pairing. Get free shipping on $59+ with promo code THANK YOU and 15% off $75+ with code SHINE. 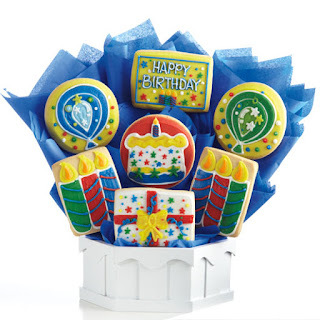 Cookies By Design offers decorated sugar cookie bouquets to commemorate holidays and special occasions, as well as three varieties of gluten-free chocolate chip cookies. The dough is made on separate equipment in a different area of the production facility. The Philadelphia region has two shops where local orders are delivered from: Exton (56 E. Uwchlan Ave., 610-594-0122) and Voorhees (700 Haddonfield-Berlin Rd., 856-753-4383). Orders can also be picked up at Cookies By Design stores. Prices start at $29.99. Use promo code NEW1013 for 10% off any $50+ order.